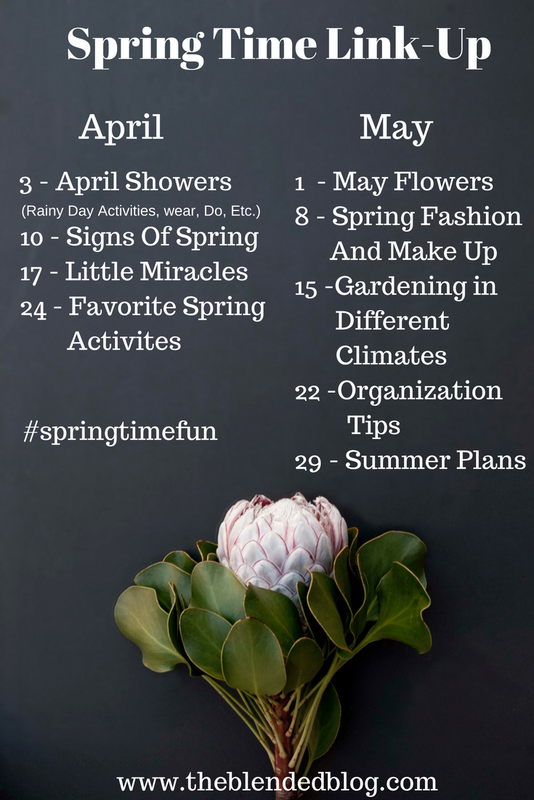 Welcome to the first week of our Spring Time Fun Link-Up. Each week we have chosen different topics, they're pretty broad topics, so use your imagination and have fun with it! Here are the topics for the next two months, now let's go have some fun! Now go head on over to Lana from My New Happy to check out what April Showers she has going on.